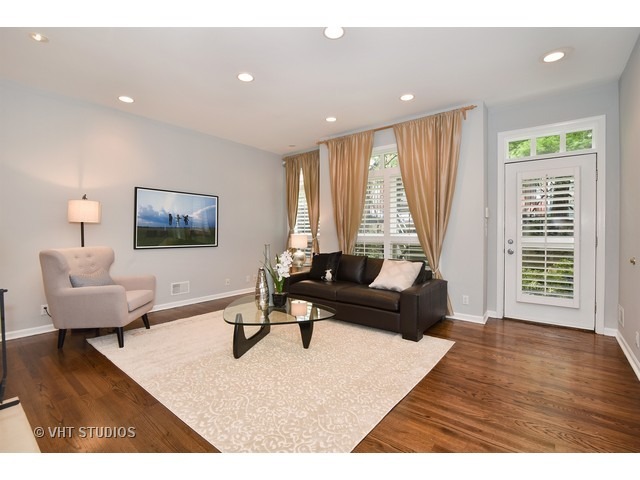 Spacious 4 Bed/3.1 Bath SFH in Prime Bucktown. Updated Kitchen Features High-End Stainless Steel Appliances & Breakfast Bar. Overlooks beautifully landscaped yard. Separate Dining Room. Light-Filled Living Room Features HDWD Floor & WB Fireplace. 2nd Level Offers Two Large Bedrooms with Custom Built-Ins, WIC, True Laundry Room & Shared Hall Bath. Third Level Boasts the Master Bed w/ Juliet Balcony, Fireplace & WIC. Spa-Like Bath Includes Whirlpool Tub, Dual Shower Heads & Double Sink. 1 Additional Bedroom, Full Bath & Large Skylight Over Main Staircase, Completes the Upstairs. 2-Car Garage. Great Storage Throughout. Wonderful Location. Close to 606 Trail, Shops, Restaurants & Blue Line Stop.